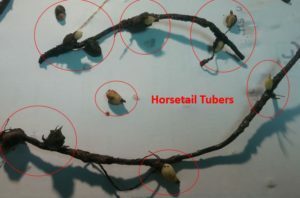 At Soilutions, we have started researching alternatives for eradicating Horsetail. 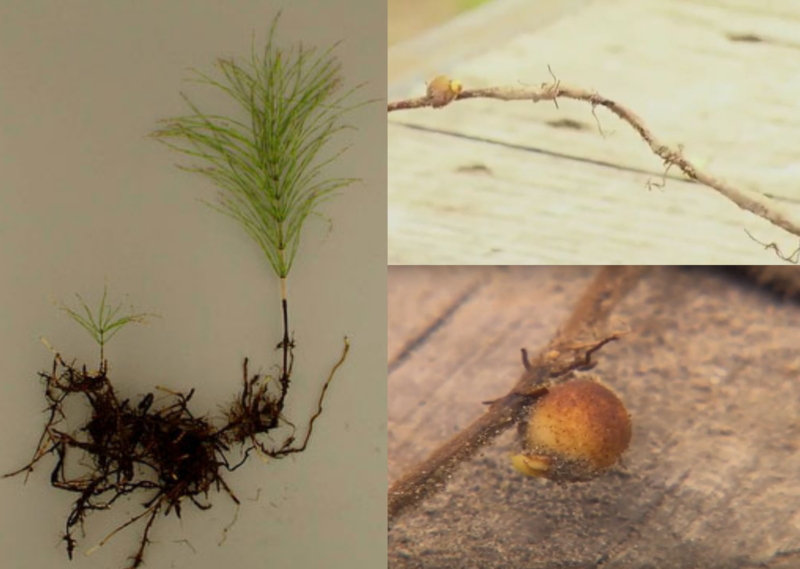 If you ever dealt with this invasive and resilient plant, you would know that once fully established, it is virtually impossible to eradicate Horsetail (HT) from a site. The remarkable root system is what gives HT the ability to spread and thrive. HT dies away in winter and it exists as a root net. HT produces a little tuber, HT’s escape capsule, and even if you kill a good chunk of the plant with chemicals, the reserves in the tuber allow the plant to survive and regenerate. We have started targeting the root system devising a method for in situ soil treatment literally oxidizing HT roots. Have you found horsetail on your property ?????? Horsetail is a primitive, perennial, hardy plant and it is widely distributed in the UK. It has been around since before the dinosaurs and it will likely outlive you. What you see above ground is a very small part of the plant. The remarkable root system is what gives HT the ability to spread and thrive. Its fibrous root system (up to 2m deep) is sprinkled with nodes (every 50mm). Each node exhibits a growing point and if roots are snapped, new shots will occur. At the bottom tip of root (1-2m) HT produces a little tuber, HT escape capsule. Even if you kill a good chunk of the plant with chemicals, the reserves in the tuber allow the plant to survive and regenerate. – Spores are dispersed in early spring by fertile brown stems while sterile vegetative growth follows throughout summer. – Movement of soil contaminated with small root fragments which regenerate into new plants. – Underground from neighbouring properties or land. Why is HT a problem? Once fully established, it is virtually impossible to eradicate Horsetail from a site. It invades and dominates pasture land. HT accumulates silica and other metals and it is toxic to live stock, deadly for horses. HT can spoil haystacks as it rots quickly promoting fungal infestation and causing the loos of feed stock. HT dies away in winter and it exists as a root net. It can dominate an area in two three years. What environmental condition favours HT? HT thrives in soil characterised by low pH, poor nutrients, poor drainage and low oxygen level. Its role in nature is to stabilise banks and prevent erosion thanks to its copious root system. Unfortunately, such aggressive rooting makes the plant a super pest where it becomes well established. – Chemical treatment: herbicide spray is applicable in late summer to fully mature plants. Because of the low leaf surface area and thick cuticle, Horsetail is required to be squashed prior herbicide application to enhance absorption. Herbicide application must be repeated over several years in conjunction with other methods to be effective. – Repeated mowing and cutting of emerging shoots over several years will weaken the root system and prevent spore dispersion in early spring. 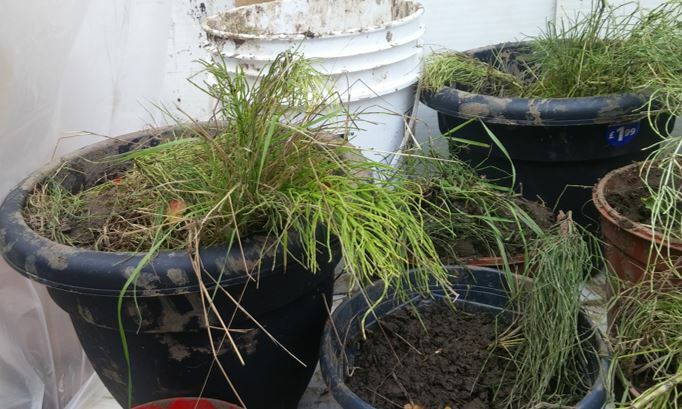 – Manual weeding is NOT advised as roots fragments left in soil are likely to generate new plants essentially increasing the number of Horsetail. – Soil removal and disposal: this invasive weed is characterised by a deep and fibrous root system and soil removal up to 2m is advised. – Soil conditioning: Horsetail can survive periods of flooding and burning but may be sensitive to water stress in drought conditions. Horsetail is also not very competitive in tall crops. The lack of functional leaves may make it intolerant of shading. HT grows in poor soil, therefore improving soil condition will increase the chances of eradication. Soil should be treated with lime or dolomite to increase pH. Applying organic matter and compost will increase soil fertility and improve soil structure and relative drainage. If you have HT in your property and your garden is also plagued by rusts, you can at least use extracts of HT to make an effective fungicide against blackspot and rust disease. With a taste suggestive of lemony rhubarb, Japanese knotweed features in a whole variety of both sweet and savoury recipes, including purees, jams, sauces, fruit compotes, soups, wines and ice creams. Picking young shoots (10-15cm) in spring could be an excellent way to control the plant from spreading further into gardens as even this vigorous and tenacious weed will not be able to handle persistent predation for jams. Japanese Knotweed contains a compound called Japanese Knotweed resveratrol (an antioxidant, also found in grapes) highly concentrated in roots. Resveratrol is antimutagenic and it is particularly effective in treating Lyme arthritis. To ensure better chances of eradication, roots should be dug out and burnt on site while new shoots continually harvested all year round. 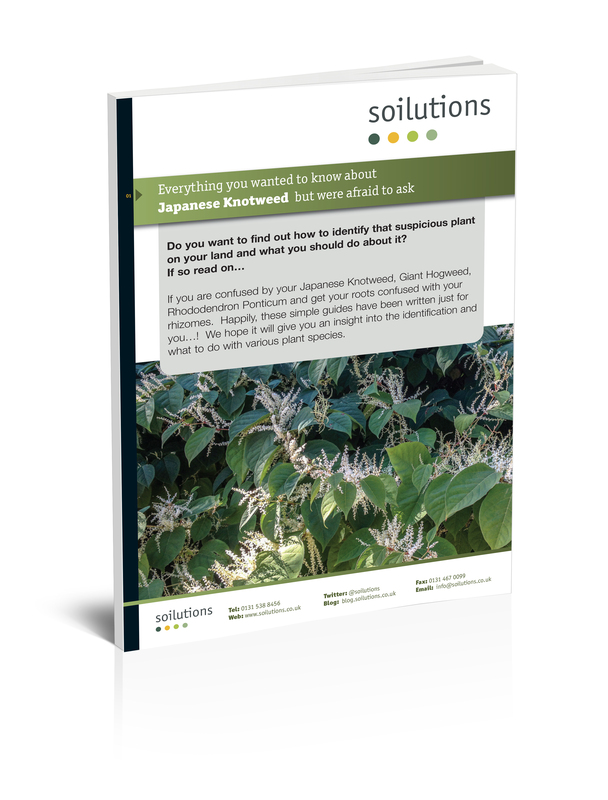 If you want to know more about Japanese Knotweed just give us a call on 0131 538 8456.